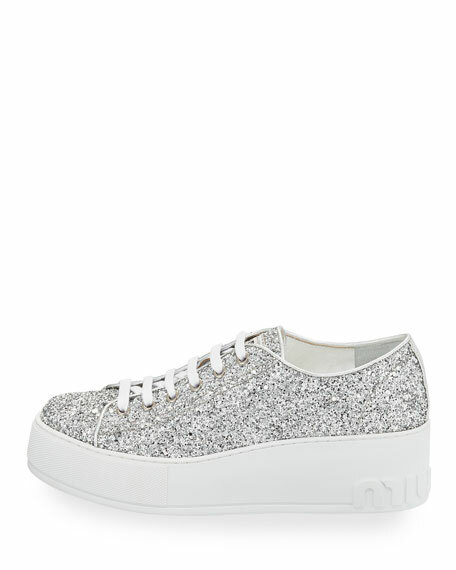 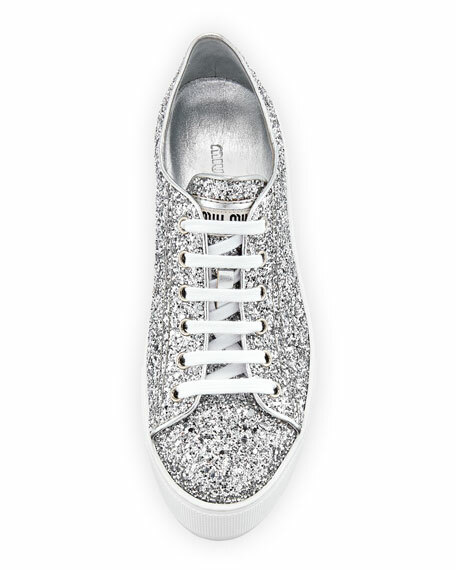 Miu Miu glittered sneaker with leather trim. 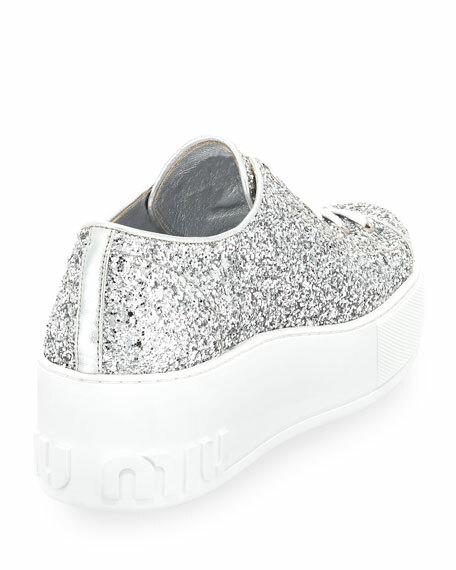 2.3" wedge heel with platform. 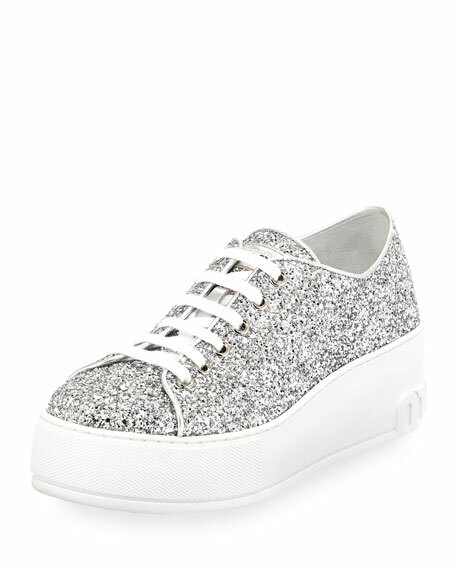 For in-store inquiries, use sku #2412932.